As you add more and more smart home devices that work with the Amazon Echo, it can get hard to remember what you named each device. Worse, when you want to control multiple devices in a single room, you have to say “Alexa, do this. Alexa, do that. Alexa, do something else.” The good news is, you can create smart home groups for Alexa that do it all. And it just take a few minutes to set it up. If you’ve used an Amazon echo with more than one smart home device, you know that the virtual assistant doesn’t automatically understand when you say “turn on the living room” you mean all the devices in that specific room. The device is getting smarter, but it’s not there yet. A simple way to remedy that is to create smart home groups that allow you to determine exactly which smart home devices are controlled from what device, with what command. For example, if you want to use the command Alexa, turn on the lights to control all the lights in the main areas of the house when you get home from work, you can set up a group that allows the Alexa nearest your voice to turn on the lights in the hallway, the living room, the kitchen, and the bedroom all with that single command. This is called a smart home group. You must have at least one Amazon Echo or Echo-enabled device and at least one Alexa-enabled smart home product to create a group. If you don’t, you can find plenty of smart home devices to choose from. Once you have an echo and smart home devices, creating a smart home group is easy. You can manage it all from the Alexa App on your mobile device. Tap the Devices icon in the lower left corner. On the Devices page, tap the + (plus) in the upper right corner. In the menu that appears, tap Add Group. On the Group Name screen you have the option to choose a Common Name for the group, or you can tap the Custom Name field and create whatever name you prefer. After you select or create a name for your group, tap Next. On the Define Group screen, first choose the Alexa-enabled device from which you want to activate the command. If you choose only one device, that is the only device from which you’ll be able to tell Alexa to control this particular smart home group. If you want to control the smart home group from any of the Alexa devices you have active in your home, you should select them all. Then scroll to the Devices section of the Define Group page and and choose the smart home devices you want to include in the group. For example, if you want to control all the lights in the living room with a single command, you would select only those smart bulbs, switches, or plugs that control those lights. After you choose which smart home devices to include, tap Save and the smart home group is created and you’ll be returned to the Devices page. Once you have created the smart home group, you can tell your Alexa device to turn on or off that group without needing to create any further commands. Or, if you prefer, you can also control the group through the Alexa app on your mobile device. Creating an Alexa smart home group is not the same as creating an Alexa routine. A smart home group allows you to control multiple devices with one command, whereas a routine is more of an if/then capability that allows you to control multiple actions (like turning on and dimming lights, starting the coffee maker, an reading you the news) with a single command. Getting a new smart home device after you have created a smart home group doesn’t mean you have to leave that device out of your group. For example, if you get a new smart bulb after you’ve created a Living Room Group but you want to add that bulb to the group, you have a couple of options. You can add the device manually using steps that are similar to creating a group. On the Devices page, tap the group you want to delete. On the device group page, tap Edit in the upper right corner. On the Edit Group page, select or deselect the Echo devices you want to control the group and the smart home devices you want to include in the group. 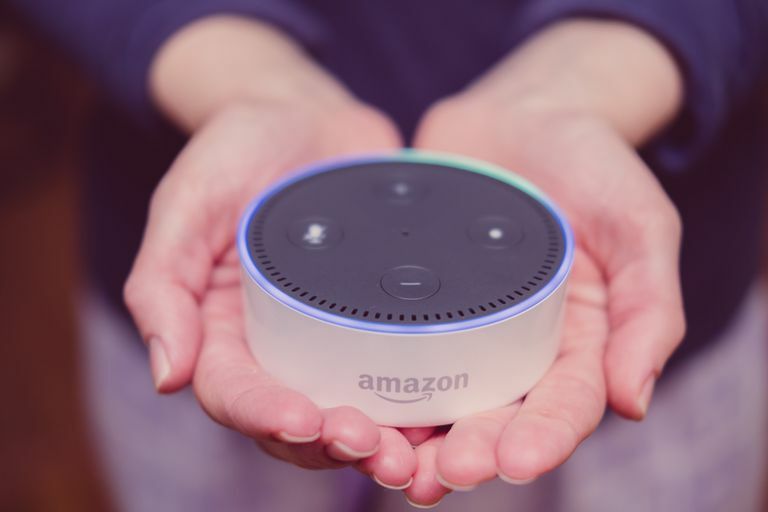 It’s not necessary to select the Echo devices or smart home devices that you have already set up for the group unless you want to remove them. When you’ve made your choices, tap Save and the new smart home device is added to the group. You can have multiple groups control the same device. Just choose the device for each group, then when you control the group, that device is included. You can also add a new device to the group using a voice command. Just say, “Alexa, add <name of device> to <name of group>.” Alexa will add the device to the group automatically. If you acquire new devices or change the configuration of your smart home devices (for example, when you move into a new home), you may want to delete a smart home group and create a new one. Deleting an echo group is as easy as creating one. On the Edit Group page, select the trashcan icon in the upper right corner. You’re prompted to confirm you want to delete the group. Tap Delete if you’re sure. The group is deleted and you’re returned to the Devices page. A confirmation message will appear very briefly at the top of the screen.